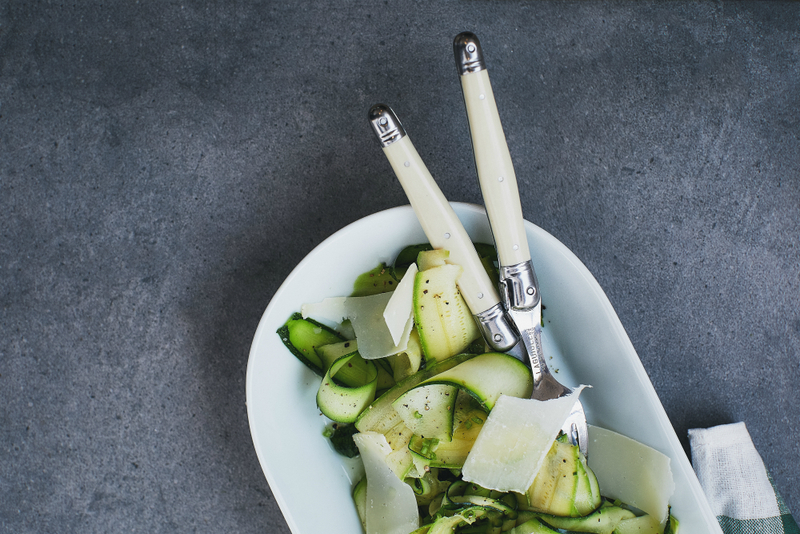 This is a raw zucchini salad, but it would also be nice to barbeque or grill the zucchini ribbons. 2. Whisk oil, lemon juice, salt and cracked black pepper in the small bowl. 3. Working from top to bottom on each zucchini, use a vegetable peeler to slice the zucchini into long ribbons. 4. Place the zucchini ribbons in the large bowl. 5. Add the basil, chives and seeds, then the dressing. 6. Toss to coat the zucchini ribbons with the dressing, herbs and seeds. 7. Shave the parmesan over the salad before serving onto platters.